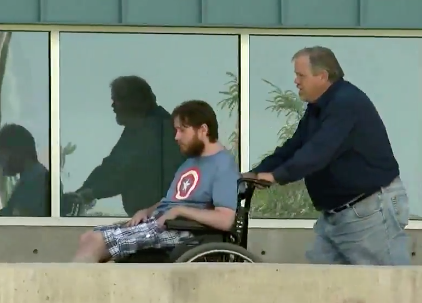 Do you think that Samora will say anything directly to James Holmes? @sophia- blatantly untrue. Branchler openly discussed not entertaining the defense offer of LWOP. @Sophia. I disagree. First, I doubt many ppl could afford to pay for lawyers for a trial of this magnitude. They have to live beyond this trial...being destitute on top of losing their son and the guilt and recrimination they most certainly feel wouldn't allow them to pick up the pieces. I think most parents do the best they can. None of us know how we would handle things. Just my opinion. Phil: I know you are very busy--but afraid i won't be able to ask this later when you sign off. Is there any way to search the scribble blog other than each page/each day. Thanks! @EZ---Holmes was an adult patient who refused to give permission to Dr. Fenton to contact his parents. To Dr. Fenton's credit, she violated HIPPA rules and did contact the mother to try to get some additional information; however, it is against the law for a pyschiatrist to betray patient confidentiality to anyone without a legally allowed cause. @Sophie I'm with you on the family assessment. There's something just not 'right' there. JH said he would never move home short of being homeless. I watched the mom's testimony (recorded) and fast forwarding through breaks/objections she came across as cold (certainly compared to the mother's of victims). @Marsha- life without parole is not a pleasant thing- and solitary confinement if awful. You rather make it sound as if LWOP would be a pleasant experience. From everything I have read and seen- it is not. Not under any circumstance. Something has been bugging me. Maybe you or one of your legal consultants can answer it for me. Ms. Brady made it clear she did not want the PT to emphasize the age Veronica was when she was murdered. During her closing, Ms. Brady started to make the statement "...years ago we executed children in this country". Mr. Brauchler immediately objected and there was a bench conference. Was that because Ms. Brady had "opened" the door for the DA to make a point of Veronica's young age or was there another reason. Thank you. I feel for the jury in a zillion ways. Having to re-watch that crime seen video with victims still inside....'unimaginable. No matter what the jurors decided, I appreciate their service and respect their decision. I hope they are given privacy to the degree they desire it and are treated with dignity. I don't think anyone is saying that they "hate" the parents, they are just saying that something seems off in the picture they presented at trial and the reality of what has been going on the last 3 years. (Please, Sophia, et al, correct me if I'm wrong). I agree that the whole "Leave it to Beaver" picture painted seems incongruent with their actions during this period of time. And yes, it is just my opinion! @ms--baloney! I doubt if there is a shortage of high-powered private attorneys who would've taken on this case for the publicity, the book rights, and some spare change from the family. @MW....at least he'd be breathing...unlike the 12 people he murdered. I'm so nervous! Hugs and prayers to everyone. @PA...I certainly hope that if he is given LWOP that he is put in gen pop. @Flip- That is true. I didn't think of that. @flip...if that is so, then it was JH's decision...He's an adult. They can't arrange his lawyers for him, unless they are his guardians at this point. @joye- Brady wanted to discus how we used to execute children and now down, used to execute mentally retarded and now down and how we shouldn't execute the mentally ill. That was his objection. @Wendy, I have friends in Canada who express the same frustrations you have. Caleb's T-shirt is nothing short of perfect. So just heard a legal expert say that NO MATTER the verdict there will be an appeal to try and still get NGBRI....ugh! Marsha-I do as well. But he'll put on an act to emulate psychosis so he's separated from gen. population. Remember, he won't have guns, ammo, throat shield, full body armor etc. in prison. He's a coward. Jimmy can't have others seeking revenge...even other criminals like him. I want the death penalty for him just so that is what hangs over his head. maybe it was JH's decision to stick with a public defender. Maybe he had pro-bono offers and turned them down? BluesB, I'll miss you! And everyone else here, whether I agree or disagree with comments. @flip- then why didn't a private lawyer take the case? Thanks for showing victim photos again, Phil...! 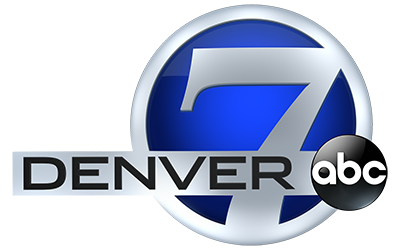 @Phil Tenser: I'm still waiting for a list of the on-air and on-web folks who put together Denver-7's superlative coverage of this trial. You guys really deserve having a snail-mail letter sent to your GM extolling the exceptional jobs you guys have done. Remembering the Victims pictures is so touching. I can remember everyone's names and have a sense of "knowing" them from what their family testified about them. RIP 12 Angels.